*Themes -> Epics is the high level hierarchy entities that any of the above item types can be related to. 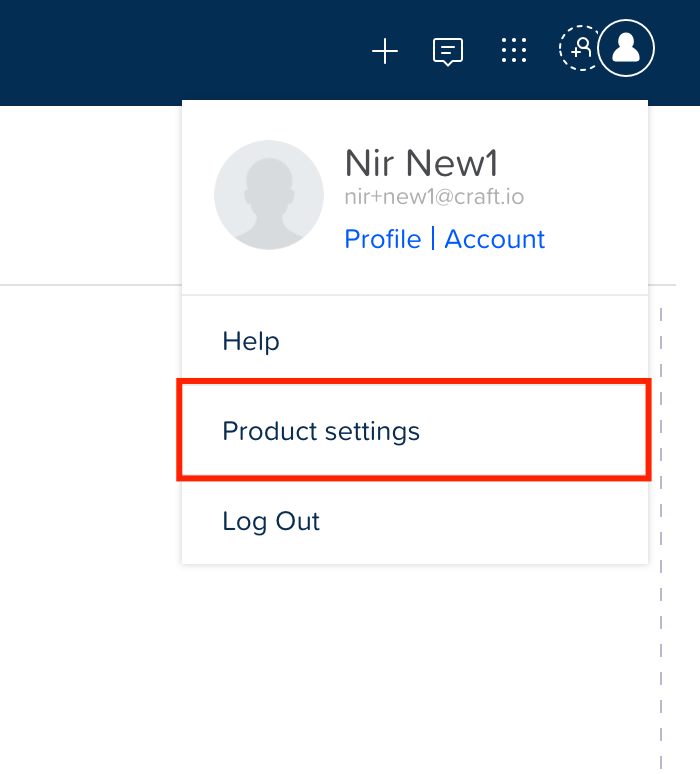 You can create and manage your custom fields from your product settings page, available from your avatar’s drop down menu. Setting up field name and appearance: Once a data type was chosen, you are asked to give a name and choose an icon for your new field. Linking the Field to an Item Type: Next, you can choose specific item types in which this new field will appear in. For the number data types, you can choose if your field will appear as a “slider” or a “+/-” control. Single Selection: Allows the user to select one item from the list. Multi Selection: Allows the user to select one or more items from the list. You can control the order of items in your selection values by dragging and dropping values into position. Edit: You can add your custom field properties, except for its data type. Hide: Hiding a custom field will remove it from all of your product workspaces, but will keep its data in the database which will be available again to you once you unhide it. Delete: Deleting a field will remove it and all its data, this cannot be undone. 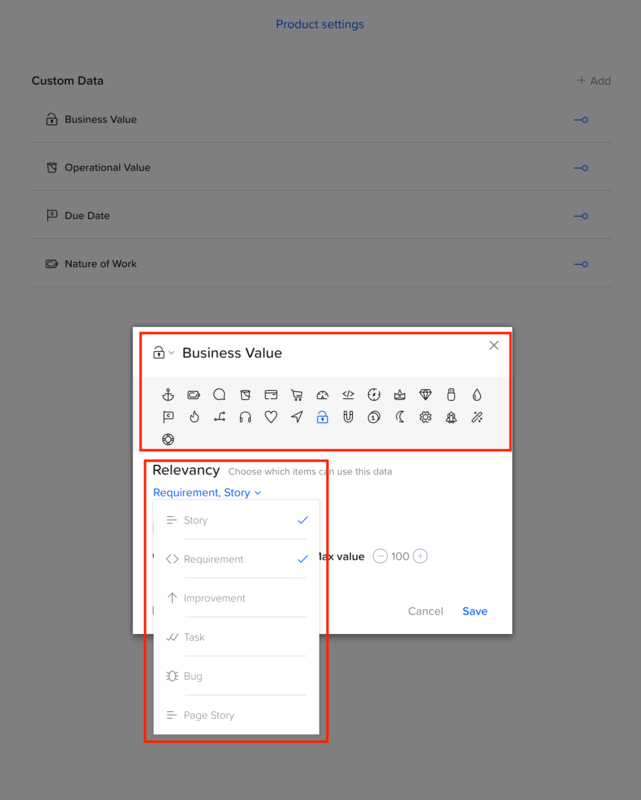 Stories - you can show your custom fields appear as a column by choosing it from the “Columns” dropdown. 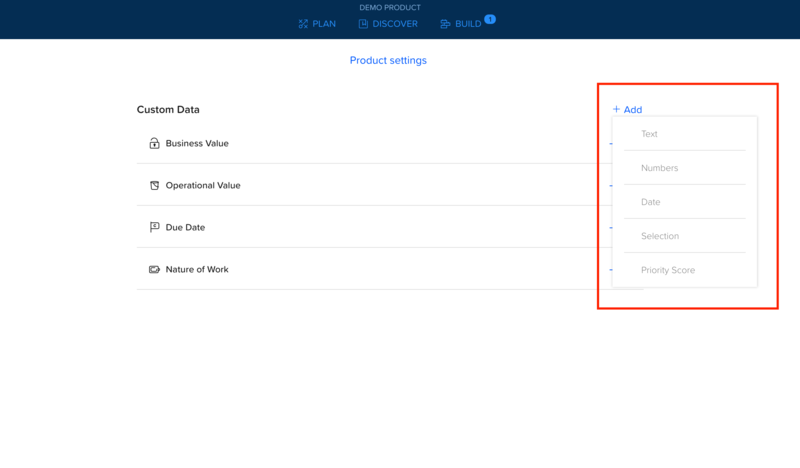 *You can control the order in which items will appear in your Item Properties panel by drag and dropping your custom fields into the desired order under your product settings page.